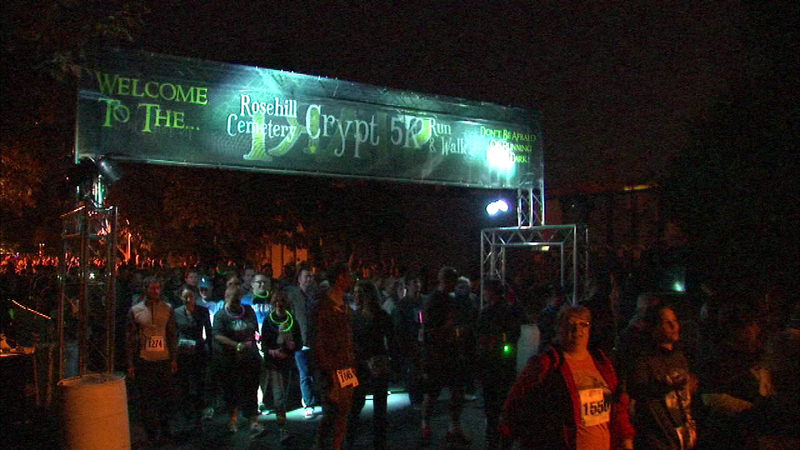 Hundreds of people gathered at Rosehill Cemetery for a spooky event Saturday night for the fourth annual Crypt 5K Run and Walk. CHICAGO (WLS) -- Hundreds of people gathered at Rosehill Cemetery for a spooky event Saturday night for the fourth annual Crypt 5K Run and Walk. The course was lit up with candles and lights were placed around cemetery monuments. There was also a DJ and a post-race party. Rosehill opened in 1864 and is the largest cemetery in Chicago.